At five minutes to midnight on Saturday April 25, 1986, the managers of Reactor Number Four at the VI Lenin Atomic Energy Station in Chernobyl, Ukraine, initiated a test, years overdue, to check its safety system. A minute later, Reactor Number Four exploded in “a purple cone of iridescent flame”, succeeded by “a shimmering pillar of ethereal blue-white light”, launching into the surrounding area many tonnes of uranium fuel and radioactive graphite, and high into the atmosphere a nightmare cloud of gases and aerosols carrying toxic radioisotopes. It was the worst nuclear disaster in history. The Russian authorities numbered the dead at 31, dismissing any higher figure as Western propaganda, while Western scientists estimated that 75,000 would die of cancers directly attributable to the disaster. The Soviet state promised to look after the 500,000 of its citizens who had been exposed to radiation, but it could not afford to do so, so doctors dismissed all but the most extreme cases with the diagnosis, “Ordinary illness: not related to ionising radiation.” Many patients relied on the curative powers of vodka. Some 20,000 agricultural and domestic animals were slaughtered. Numerous villages were bulldozed. About 116,000 people had to be relocated. By 2005, more than 1,800 square miles of Ukraine and Belarus had officially been declared uninhabitable. The fallout spread as far as the hill farms of North Wales, where heavy rain left the ground soaked with caesium and iodine, affecting the livestock; restrictions on the sale of sheep from the area would not be lifted until 2012. Thirty years after the disaster, half the wild boar shot in the forests of the Czech Republic were found to be too radioactive for human consumption. One estimate put the total bill at more than $128 billion. Much has been written about Chernobyl, in English most notably by Piers Paul Read in Ablaze: The Story of the Heroes and Victims of Chernobyl (1993), which Adam Higginbotham cites as the starting point for his Midnight in Chernobyl. Higginbotham’s book is not so well-written as Read’s, and he makes some rather desperate forays into sexed-up thrillerese. “Senior Lieutenant Alexander Logachev,” runs his first sentence, “loved radiation the way other men loved their wives”; later he notes that, “like a spoiled lover, the Soviet Ministry of Energy and Electrification would not be satisfied”. One chapter offers a primer on nuclear power, with yet more questionable comparisons. A nucleus, for example, is described as “unimaginably dense, as if six billion cars were crushed together into a small suitcase”, which seems to me quite mind-bogglingly unhelpful. There may be failures of style, but it’s hard to fault Higginbotham’s research. He has spent 12 years investigating this story, conducting extensive interviews and trawling the archives, some of them only recently declassified, and his account is surely definitive. The USSR was a pioneer in the field of nuclear energy, and by 1950 the First Main Directorate employed 700,000 people in uranium mines, including 50,000 prisoners of war. In 1957 there was a huge explosion at Chelyabinsk-40, at Mayak in the southern Urals, which exposed 500,000 people to dangerous levels of radiation, caused the evacuation of 10,000 and the erasure of 23 villages. But, like dozens of lesser accidents, Higginbotham says, it remained a state secret, and the impression was maintained that the Soviet nuclear industry was the world’s safest. The foundations at Chernobyl were laid in 1972, and by 1985 there were four giant reactors, with two more planned. A serious accident in 1982 was hushed up by the local KGB, “to prevent the spread of panic-mongering, provocative rumours and other negative manifestations”. Higginbotham’s account makes the plant sound rather like the one that employs Homer as its safety officer in The Simpsons. The reactors were of a type unique to the USSR. In 1980 the central nuclear design bureau noted that it had nine major design faults, and that accidents were likely, yet no action was taken to improve the design and no warning given to the reactors’ operators. Its worst fault was that the emergency rods meant to impede a chain reaction had the opposite effect, “as if the pedals of a car had been wired in reverse, so that hitting the brakes made it accelerate instead of slowing down”. This was what caused the catastrophe. The Kremlin was naturally inclined to secrecy. When the radioactive cloud reached Scandinavia on Sunday, April 26, the authorities assured Sweden that “they had no information about any kind of nuclear accident within the USSR.” At 8pm on the Monday, the Soviet news agency TASS issued a 23-word statement: an accident had occurred, and was being dealt with. The Moscow papers ignored the news on the Tuesday morning, but the front-page headline of the New York Post was “2,000 DIE’ IN NUKEMARE”. The story was out. 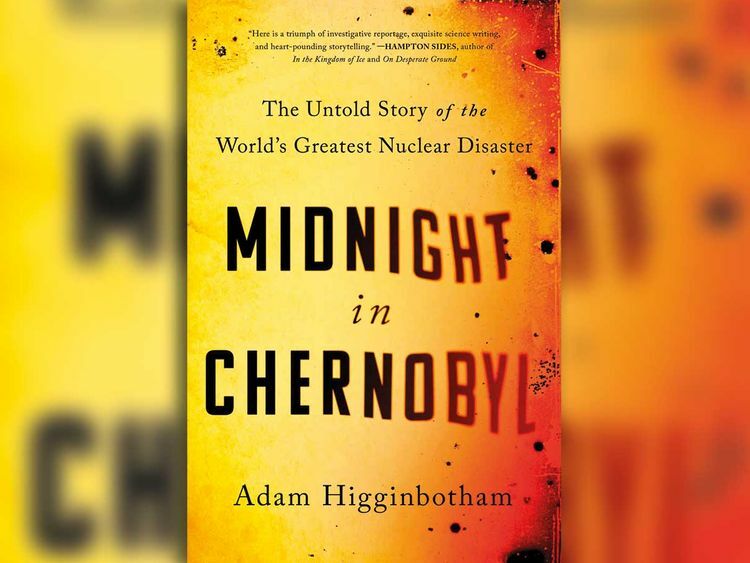 Higginbotham subscribes to Read’s thesis that Chernobyl sparked a chain reaction that eventually destroyed the Soviet Empire, as it “finally shattered the illusion that the USSR was a global superpower armed with technology that led the world”. It also inhibited nuclear projects internationally. In the 12 months after the accident, Sweden, Denmark, Austria, New Zealand and the Philippines all pledged to give up their nuclear programmes, and nine other nations cancelled or delayed plans for new reactors. The United States abandoned all plans for new nuclear plants until 2011, when Ukraine also announced that two new reactors would be built not far from Chernobyl. But on March 11 there was a meltdown and some explosions at Fukushima, Japan; there were no deaths, but 300,000 were evacuated, and the surrounding area will remain contaminated for decades. Japan took its remaining reactors offline, Germany shut eight of its 17, and said it would close the rest by 2022; and plans for new ones in the US were cancelled or suspended. But for all its disasters, nuclear power continues to inspire hope. Fourth-generation reactors, fuelled by thorium (which is more abundant than uranium), running at atmospheric pressure and never reaching criticality, have been proposed and funded by Bill Gates and the Chinese government. They would be cheaper, smaller, more efficient and much safer than previous reactors, and might yet save the world from the catastrophe of global warming.